It’s hard to know whether bullying has gotten better, worse, or stayed the same over the last few decades. The government only began keeping statistics on bullying in the early 2000s. Since statistics started being collected, many teachers, bosses, and parents have developed a better understanding of bullying. However, many people still don’t understand how widespread bullying really is and why it’s such a problem. Here are some of the latest statistics on bullying in school and in the workplace. Children and teens may be picked on, ostracized, publicly humiliated, or targeted in a number of different ways by their peers at school. The statistics on exactly how many kids are bullied—and how often it occurs—vary greatly. Studies have found that anywhere between 9 percent and 98 percent of students have been bullied. 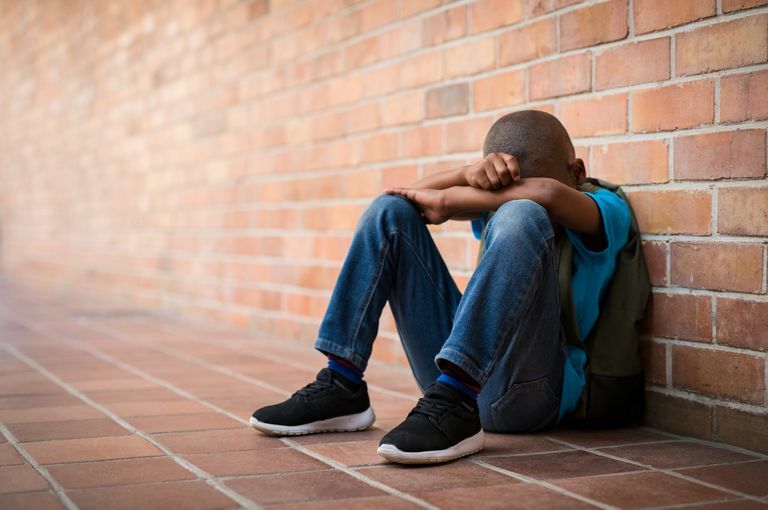 Most reports show children with disabilities, children who identify as LGBTQ, and minorities are more likely to be bullied than other children. A 2014 meta-analysis of 80 studies analyzing bully involvement rates suggests that 35 percent of students between the ages of 12 and 18 have been involved in traditional bullying and 15 percent have been involved in cyberbullying. 49 percent of children in grades four to 12 reported being bullied by other students at school at least once during the past month. 23 percent of youth say they’ve been bullied two or more times in the past month. 20 percent of students in the United States in grades nine to 12 report being bullied. 71 percent of young people say they’ve witnessed bullying at school. 70 percent of school staff report they’ve seen bullying. Approximately 30 percent of young people admit to bullying others at one time or another. Bullying involves a wide range of behaviors. Physical bullying is less common than social or verbal bullying. Cyberbullying seems to be less frequent among students. 44 percent said they were called names. 43 percent said they were teased. 36 percent said a bully spread rumors or lies about them. 32 percent said they were pushed or shoved. 29 percent said they were hit, slapped, or kicked. 29 percent said they were left out. 27 percent said they were threatened. 27 percent said a bully stole their belongings. 24 percent said a bully made sexual comments or gestures. 10 percent said they were bullied online. Most people picture kids being bullied on the playground or in the hallways at school. The truth is that bullying can occur anywhere—including online or in the classroom. 29 percent were bullied in the classroom. 29 percent were bullied in the hallway or at their lockers. 23 percent were bullied in the cafeteria. 29 percent were bullied in physical education classes. 12 percent were bullied in the bathroom. 6 percent were bullied on the playground. While it’s most common for students to be bullied by a peer, it’s also possible for students to be bullied by a teacher or school staff member. Research shows about 15 percent of children are likely to be targeted by teachers. Even when these students change grades, the probability of being targeted by a teacher remains relatively stable. Students with prominent inattention and antisocial behaviors have been shown to be more susceptible to verbal abuse from teachers. 2 percent of middle school students report being bullied by a teacher. 30 percent of secondary students report being bullied by a teacher. 64 percent of young adults report being bullied by a teacher at least once over the course of their lifetime. 93 percent of high school and college students identified at least one teacher as a bully in their school. Additionally, male students are more likely to perceive themselves as being victims of teacher maltreatment. Female students from families with high socioeconomic status were shown to be victims of verbal abuse from teachers less frequently than other students. School-based bullying prevention programs decrease bullying by up to 25 percent. 43 percent of bullied students report they’ve notified a school staff member. Students who report higher rates of bullying victimization are more likely to report incidents of bullying. 57 percent of bullying situations stop when a peer intervenes on behalf of the student being bullied. The most effective anti-bullying programs help schools shift their culture so students feel empowered to stand up for one another. All students benefit from learning simple strategies for standing up to bullies and for supporting students who are targeted. Students who are bullied are more likely to experience sleep difficulties, anxiety, and depression. They’re also more likely to experience poor adjustment to school. 19 percent of bullied students say that being bullied has had a negative effect on how they feel about themselves. 14 percent of students report being bullied has affected their friendships and relationships with family members and their school work. 9 percent report being bullied has taken a toll on their physical health. When most people think of bullying they imagine middle school or high school students being picked on. However, bullying doesn’t end with high school graduation. Bullying often continues during college. Sometimes, college students are bullied by their own professors. College students who are bullied are more likely to drink alcohol and experience interpersonal problems (such as getting into fights). Researchers have discovered instances where professors said hurtful things about a student’s character, made obscene gestures to students, ignored or neglected students, told lies or secrets to get the student in trouble, or even physically attacked students. 23 percent of college students have been bullied, according to a 2015 study published in the American Journal of College Health. Hazing is also a problem on many college campuses. It’s a little different from bullying, however. Bullying involves singling someone out and excluding them. Hazing is about inclusion. Students may have to “earn” their way into a group (like a fraternity or sorority) or onto a team. 40 percent admit to knowing about hazing activities. 22 percent report a coach or advisor was involved in the hazing activities. Bullying doesn’t end with school. It often carries into the workplace. Workplace bullying contributes to a variety of problems, including increased health risks and poor job performance. Workplace bullying takes many forms. Having your work stolen or sabotaged or being humiliated or ostracized constitute bullying. Bullying at work may also involve intimidation, threats, gossip, offensive jokes, yelling, belittling, and creating impossible demands. 19 percent of Americans are bullied. 19 percent witness bullying in the workplace. 70 percent of bullies in the workplace are men and 60 percent of the targets are women. 61 percent of bullies are bosses. 29 percent of targets remain silent about their experiences. 65 percent of targets lose their original jobs to make the bullying stop. If you or someone you love is a victim of bullying, it’s important to take action. Document what has been happening and talk to someone—a school official, the HR department, a teacher, or mental health professional. If you’re not sure who to turn to, start by talking to your physician. Your physician may be able to recommend any next steps you should take, such as getting legal assistance or meeting with a mental health professional. How Should Your Child Deal With Bullies? Babson College. Important Hazing Statistics. Accessed March 18, 2019. Musu-Gillette, L., Zhang, A., Wang, K., Zhang, J., and Oudekerk, B.A. (2017). Indicators of School Crime and Safety: 2016 (NCES 2017-064/NCJ 250650). National Center for Education Statistics, U.S. Department of Education, and Bureau of Justice Statistics, Office of Justice Programs, U.S. Department of Justice. Washington, DC. Namie G. 2017 WBI U.S. Workplace Bullying Survey. Published June 2017.